Getting back into the swing of things has been slow going, but I'm happy to be able to post a new painting. This one is of the Point in St. Andrews. It sold before it hung on the wall. 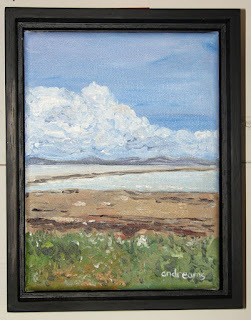 It is small - 7" x 9" unframed size.